Summer is here! Send parents home with a myriad of creative ideas they can do with their kids to keep them engaged during long summer days — while building early literacy skills at the same time! 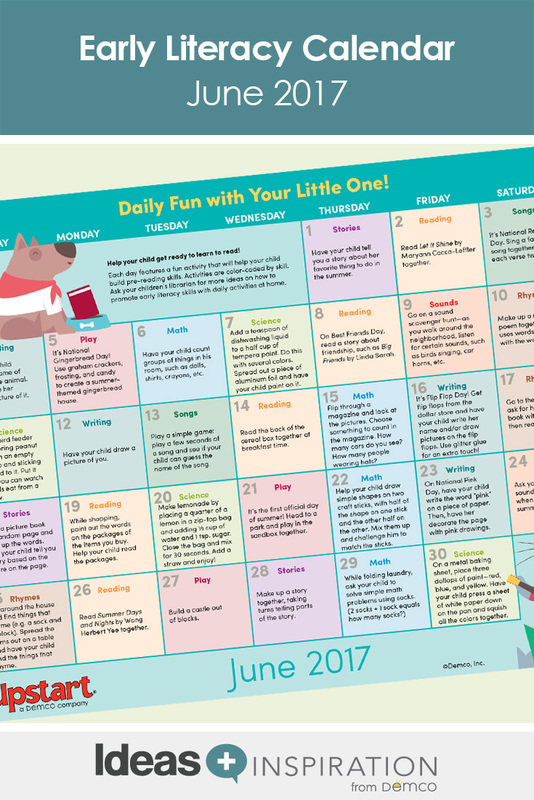 June is filled with fun book suggestions, unique holidays like Flip Flop Day and Best Friends Day and loads of summery science experiments, simple math activities, silly rhymes and more! 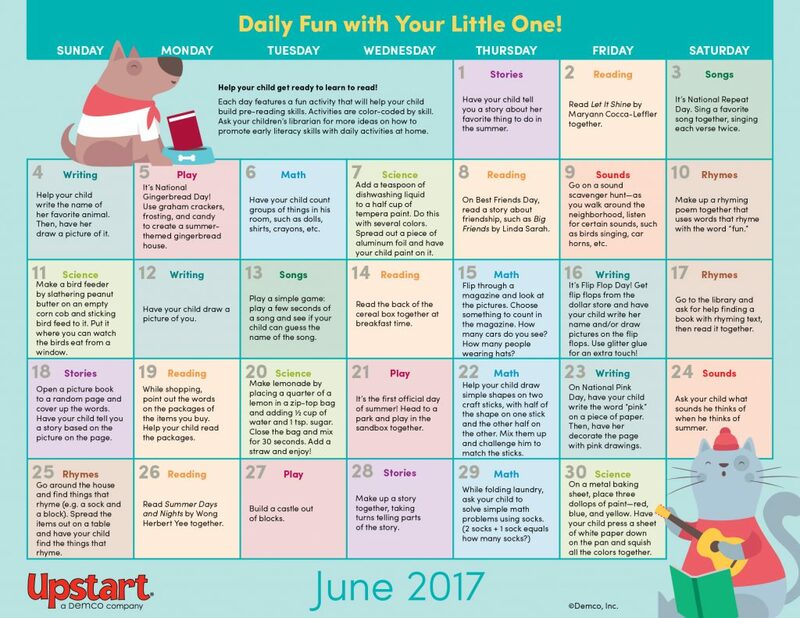 Download the June Daily Fun With Your Little One calendar. Would it be possible to get a copy of this calendar for July and August before school is out? I would love to include this in our “summer homework” packets for our pre-k and kindergarten students.